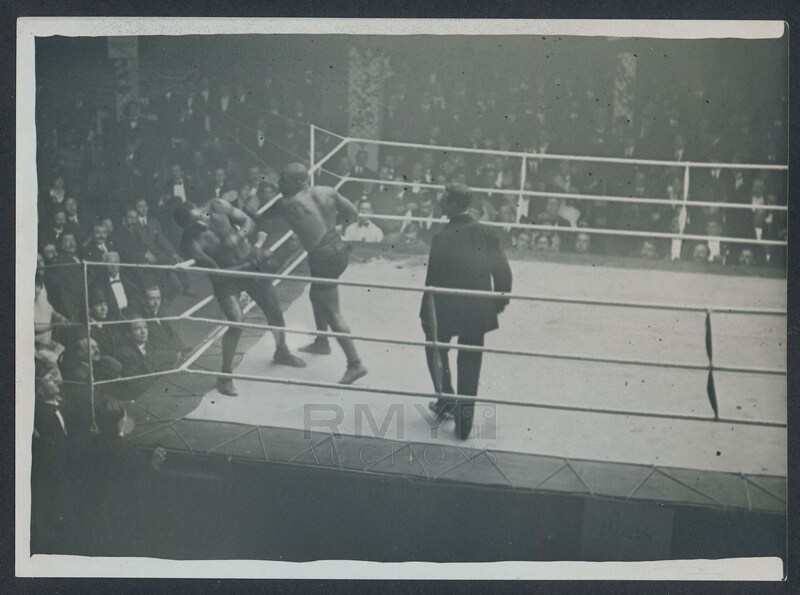 Absolutely incredible 1913 action photograph from Luna Park in Paris, France showing Joe Jeanette and Sam Langford, two of the greatest black boxers of all time, as they battled it out for what they thought was the championship of the world. Jack Johnson had recently been stripped of his crown and the racist world of 1913 let these two think they would get the vacated title, but when Langford won, they stripped that one too. This was the 10th meeting between the two and this is the only vintage photograph from this event we have ever seen. Condition and quality are both outstanding with this one grading a perfect 10/10! 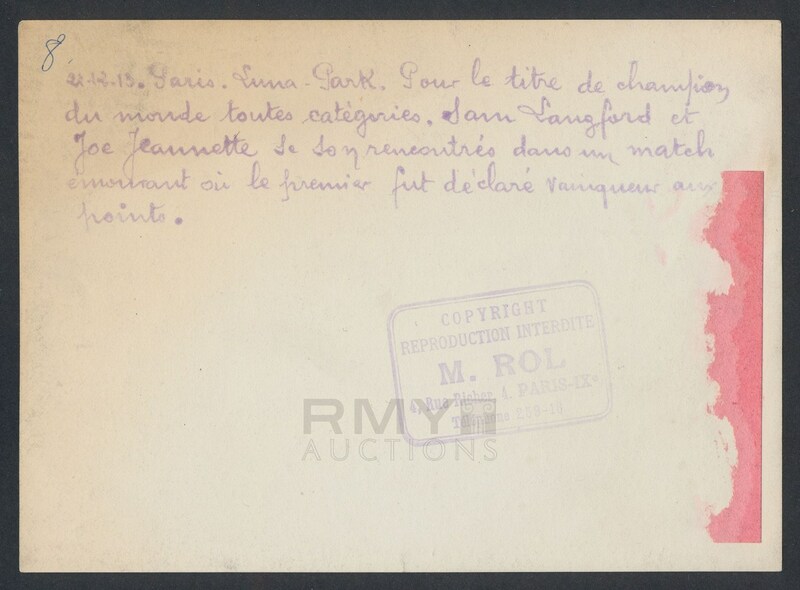 Stamped on the back by a Paris photographer and with a fantastic handwritten account as well. One of the top boxing photographs we have ever seen!